A little activity goes a long way, especially after an action packed year of hard work. Luckily, that is exactly what you will find at our parks. Gravity Force is the UK's ultimate trampoline park and our locations offer the perfect place for your schools end of year trip. 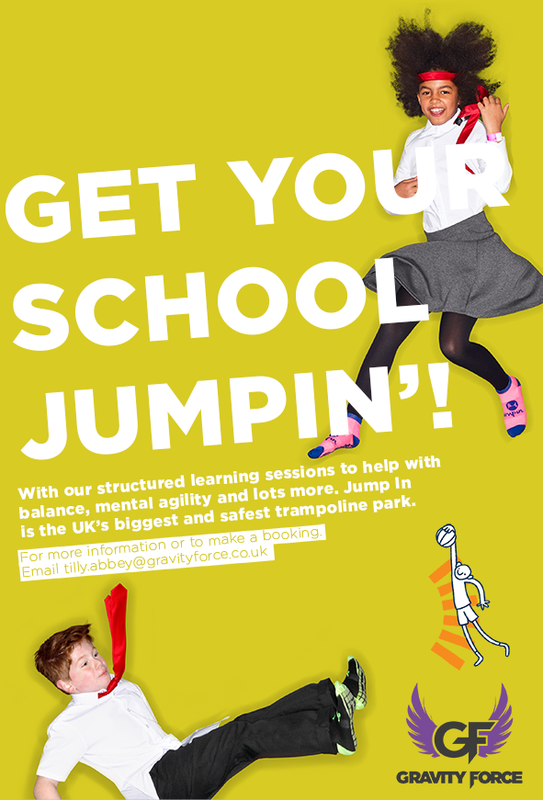 Our jump arena is suitable for primary and secondary school kids and includes access to our trampolines, foampit, dodgeball arena and much much more. In addition we can take care of post jump refreshments if required. For more information or to make a booking please email tilly.abbey@gravityforce.co.uk or by calling 01926 356 290.